Tris Pharma, Inc. is recalling Infants' Ibuprofen Concentrated Oral Suspension that was distributed across the country because it may contain a higher concentration of the drug than shown on the label. The voluntary recall covers three lots of the drug sold at Wal-Mart, CVS pharmacies and Family Dollar stores. Infants susceptible to the higher dose of ibuprofen may suffer injury. 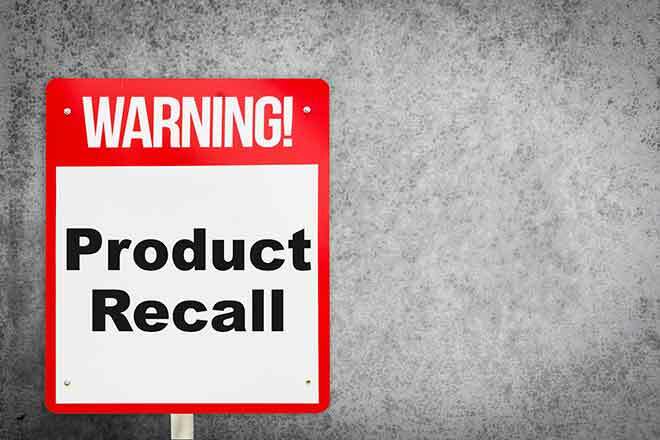 They can also experience nausea, vomiting, pain, diarrhea, and internal bleeding, though the company has not received reports of such symptoms related to the recalled product lots. The drug is packaged in 0.5-ounce bottles. Products subject to the recall are listed in the table below. People with questions about the recall can contact Tris Customer Service at 732-940-0358 Monday through Friday between 8:00 a.m. Eastern time and 5:00 p.m. Pacific time, or via email at micc_tris@vigilarebp.com. Consumers should contact their doctor or healthcare provider if they have noticed any problems or symptoms that may be related to taking the drug.